The Babyology team spotted these amazing children’s bedheads at Life In Style, and fell head over heels. Come and take a look what all the fuss is about. 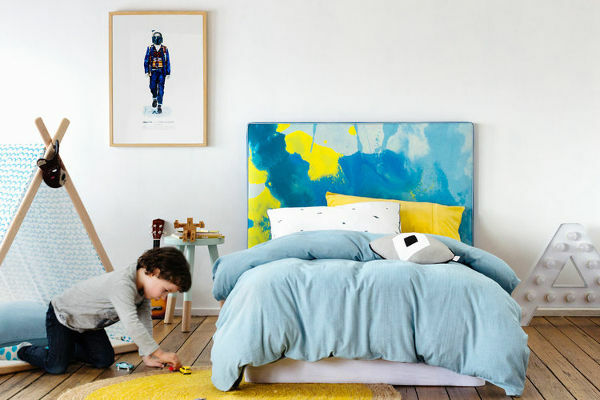 While monochrome may be king in many design circles, we still love a splash of colour in a child’s bedroom. And children’s beds really don’t come any more colourful than those adorned with Mexsii Kids’ bedheads. 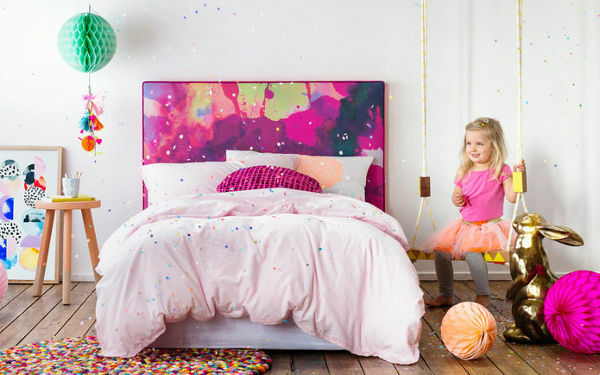 The bedheads are created using artwork that has been exclusively designed for Mexsii Bedheads. They are child-safe, made using non-toxic inks and printed onto Belgian linen, giving them a truly luxurious feel and look. Underneath the gorgeous prints is environmentally sustainable foam, and legs made from reclaimed timber. Each bedhead really is a work of art. 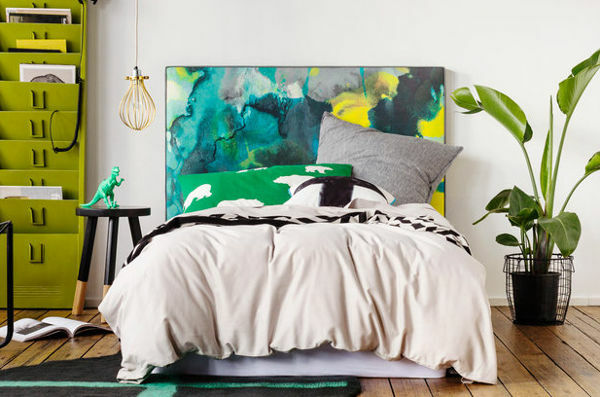 And if all of that wasn’t enough to convince you how amazing these creations are – each bedhead is designed, printed and hand crafted in Australia. They come in king single and single size, in four stunning and striking designs, which are perfect for boys and girls. Prices start at $1485, but contact the team at Mexsii Bedheads directly for more information.